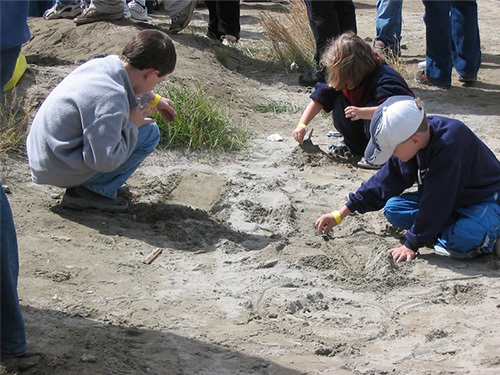 Prior to a scientific study that revealed these tailings at Goldenville have dangerously high concentrations of arsenic and mercury, community members used the tailings area as a place of recreation for events such as 4x4 rallies. Photo courtesy of Dr. Michael B. Parsons, Geological Survey of Canada (Atlantic). Historical gold mining often profoundly impacted the surrounding ecosystem, leaving behind a toxic legacy. People were not always aware of the impact of specific mining practices on the environment nor on human health. Gold-bearing rocks in Nova Scotia contain high amounts of a mineral called arsenopyrite, which bears arsenic. Tailings – sand-sized particles left over after the gold-bearing ore was crushed in a stamp mill – further concentrated the already abundant natural arsenic. Arsenic causes a host of health issues for humans and wildlife. About 3 million tonnes of tailings were dumped into lakes and streams near gold mining operations between the 1860s and the 1940s. Tailings on the landscape often look like fine grey sand. These tailings from the Montague Gold Mines area outside Dartmouth contain 20,340 parts per million of arsenic and 2.3 parts per million of mercury. The arsenic content of the tailings is 1,695 times more than the Canadian Council of Ministers of the Environment’s allowable guideline of 12 parts per million and 6.6 parts per million for mercury. Other hazards are mercury and cyanide used to process gold ore. They can be found in the residual tailings. If cyanide leaks into the environment, its impact is immediate and lethal to people and wildlife. Cyanide does degrade over time, unlike arsenic and mercury. 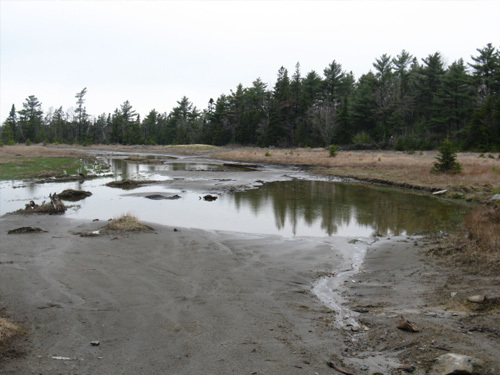 Testing has shown that no cyanide has been found in the tailings in Nova Scotia. Historical mining activity in Nova Scotia has left behind an estimated 7,200 abandoned mine openings; 4,500 are related to gold mining. 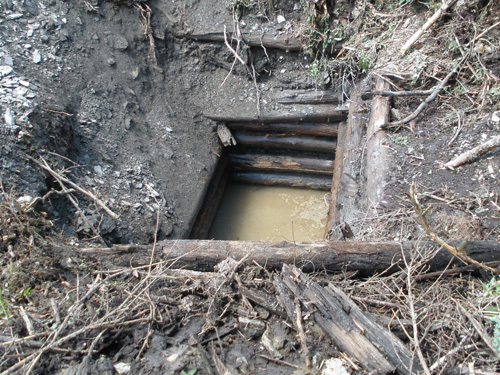 Abandoned mine sites which may have unsecured open holes and tunnels are an obvious hazard to people. Dangers can include falling into deep holes, drowning in flooded shafts, and encounters with noxious fumes. The Province of Nova Scotia has implemented a program to identify and secure such sites.